Through the efforts of Museum member (and WW II Weekend special guest) Bill Fili, the museum has become the recipient of another unique Mid-Atlantic aircraft... the Spratt 108. The aircraft was donated in July through EAA Chapter 240 to the Museum by home-builder Robert Quaintence’s son David. What’s a Spratt? In the early 1900’s Dr. George A. Spratt developed his theory of a simple-to-control, free-floating wing design, the "Control Wing". Spratt and his colleague, aviation pioneer Octave Chanute, worked closely with the Wright brothers, introducing them to one of Spratt’s inventions, a wind tunnel that could accurately measure both lift and drag. Spratt also redesigned the Wright's first glider wing, which at first did not fly, creating a design that proved successful. The "Control Wing" aircraft is very different from aircraft designed conventionally. Normally airplanes have a fixed wing with ailerons and a tail with elevators and rudder to move the aircraft on its axis. With the "Control Wing", which features a "free-floating", easy to control design, the wing of the aircraft is pivoted to provide a variable angle of incidence while in flight. Each wing can also be moved in opposing directions, providing a banked attitude for turns. The design is also free of stall or spin characteristics. Before his death in 1934 Spratt had built and flown a series of his "Control Wing" aircraft. By 1936 Spratt’s son, George G. Spratt, had taken up his father’s interest in the "Control Wing" concept and was regularly flying his ultralight "Control Wing" aircraft. He continued to pursue the development of "Control Wing" vehicles for both Convair and Bendix. 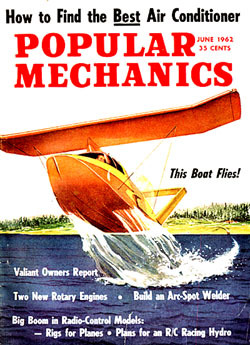 During the 1950’s Spratt developed a successful flying boat version of the aircraft, offering plans to homebuilders. 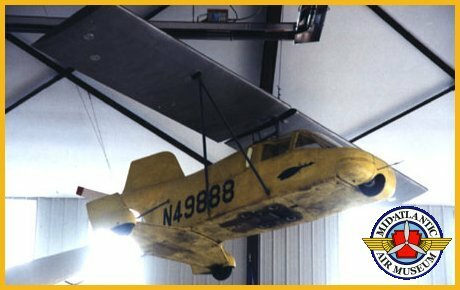 He also designed the aircraft that the museum now owns, the only known land version, the Spratt 108, built in 1973 by Robert Quaintence of Coatesville, PA. and flown for many hours. This unique design concept can be found on modern UAV’s (Unmanned Aerial Vehicles) being developed for reconnaissance and combat missions in the 21st century.